Reaching the list of necessary chemicals at the bottom I realized that this book would never be published today. First of all, your church’s insurance policy would probably be all over quashing the idea of someone showing up for church with turpentine, ammonia and kerosene. I know that when I show up for church with those things, the greeter at the door always takes me aside. Second, Zondervan’s lawyers would have the same concerns and not want to be in a position of liability encouraging people to do this little trick. A page later, we’re warned, “Care should be taken not to spill any of the ingredients or the completed solution.” I guess so. I would be uncomfortable with the idea of doing this with adults, let alone teens or children. Things are simply too litigious these days than to risk presenting this in a church basement. Our graphic image theme this week is parody. The upper one is a supplement to the Orange Curriculum, a weekend service Christian education experience for children. You can click on the image and then surf the rest of the web page to learn more. A bumper harvest this week; get coffee first. A 2,400 seat auditorium and only 150 in attendance. New Birth Church in Charlotte has entered foreclosure. Two weeks ago, someone posted a threatening note on the doors of every church in Ashland, Nebraska. VBS Debrief: In a two-part essay, a mom recalls the realization that the program in which her kids were registered was too focused on peripheral issues. Part One: Initial concerns. Part Two: Pulling the kids out. …and staying with the UK for a moment, a look at the pressures Independent Christian Schools there are feeling. …and Canadian author Sheila Wray-Gregoire visits Ottawa and the shrine that appears hours later. Come see the softer side of Calvinism. The case for bi-vocational ministry, increasingly becoming the new normal. Whether it’s over a wedding cake, invitations or flowers; you haven’t really considered the full implications of gay marriage until you’ve put a face to it. This video was shown Monday at the Ethics and Religious Liberty Conference in Nashville. …More recently, saving Halloween — apologies to Kirk Cameron — and what one observant Jew plans to do with the scary day falling on a Sabbath. Church leadership, by definition, means often having difficult conversations. Essay of the Week (1): A book review of Drew Dyck’s Yawning at Tigers is really the springboard for a much longer article on God’s transcendence. Essay of the Week (2): The power of event; how going to church reminds us that we are the church. Essay of the Week (4): This one isn’t for everyone, but those curious might linger on the blog and look around at other items. It’s a website for Messianic Christians who no doubt wrestle with what to retain and what to discard from Jewish practice. This one is about whether or not to keep having a Mezuzah at the front door. Essay of the Week (5): Author Sarah Bessey on the firing of a well-liked Canadian (and NPR) radio personality, and its relationship to violence against women. One time I had a dream. I saw a set of footprints. Later on, a lot of people saw a Footprints Statue in the park. The raw 7-minute video as Mark D. takes the stage post-resignation at Robert Morris’ Gateway Conference. Tony Jones looks at some interesting stats from eight denoms on clergy who see themselves as part of the Emerging Church Movement. Literature: Take a peek at a section of Mind Has Mountains, a forthcoming memoir. As this article reminds us, some of the top-priced residential real estate in the United States is owned by the Roman Catholic Church. The Church of the Nazarene is shutting down Beacon Hill Press in just over 30 days. That United Methodist minister who was defrocked last year for officiating at his gay son’s wedding has had his credentials reinstated. Also at Religion News Service, the Westboro Baptist saga continues. …Meanwhile, the author of Why Johnny Can’t Sing Hymns believes the decline of contemporary worship is imminent. Emily Wierenga guests at The Better Mom: Parenting is fine as long as you don’t become one of those parents. Essay from the broader internet: Stop Sleeping With Liars. If a blog post begins with the word ‘farewell,’ you know a popular Christian figure is about to get trashed. Sometimes, an apology is in order. Perspective: It’s one thing to be single at a wedding. It’s another thing to attend 32 weddings single. …Of course, even before that, worship might have had its complications. I suppose everyone’s baptism is special, this one was just specialer. Oh to just be turning thirty! Tyler Braun’s birthday wisdom. 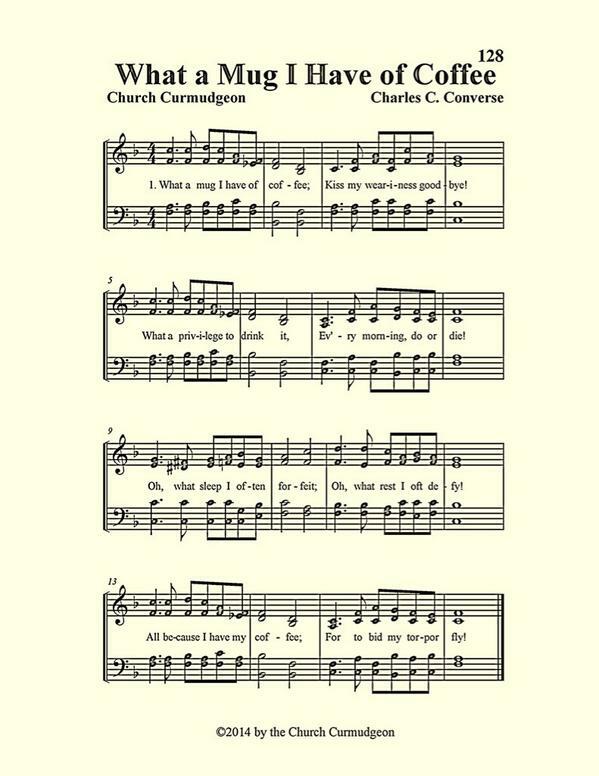 Our closing graphic (below) belongs to Church Curmudgeon who appears to have graduated from simply posting his coffee hymn parodies on Twitter to full-blown sheet music. The rest of the week Paul Wilkinson offers you a daily choice between trick at Thinking Out Loud, or treat at Christianity 201. It’s a dream come true. No kids for a whole week in either the mornings or the afternoons, or perhaps even all day. PLUS, it’s not your home church, so the likelihood of being asked to help is zero. For a haggard mom, does it get any better than this? VBS is a pricey ministry option, even by Children’s ministry standards. Sometime during the week, drop by the church’s office and make a donation to show your appreciation. Be on the lookout for a mom who is, like you, appears to be not from the host church, and offer to buy her a coffee. Or maybe a mom who is just going through a rough day and could use a sounding board. Failing the first and third option, relax and take a deep breath, especially if an avalanche of kids is coming to your church next week. 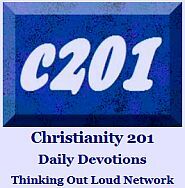 Time for another round of Christian blog and news links for the whole family. In the past we would often begin and end here with cartoons, but the whole question of fair use gets muddy sometimes, especially when humor meets illustration. I’ve studied the permissions statements of some of these and can’t reconcile what I read with what seems to be ubiquitous online. So we decided to run one, since it’s been awhile. Click the image to visit Reverend Run’s site. The question many reading this may face: Should a Christian go for counseling with a secular therapist? Essay of the week: The New Music Business, or Why I am No Longer Friends With Derek Webb. No, it’s not what you think. Social justice and religious freedom: The ten worst countries in the world when it comes to persecuted for Christian belief. The list and a video. Meanwhile in the relative Christian security of the U.S., lists are published of the top five churches using social media best. A ministry leader affirms all the good things he learned from Willow Creek, while at the same time confessing to the sin of methodolatry. What to say when someone is suffering. Your theodicy is probably determined by your theology. And that affects how you answer the “why” questions that will never fully go away. At the risk of continuing yesterday’s theme here ad infinitum check out Wade Burleson’s How To Kiss Calvinism Goodbye. Most of us have heard of Mormon baptisms for the dead, but in the first half of LDS history, baptisms for health were more common. 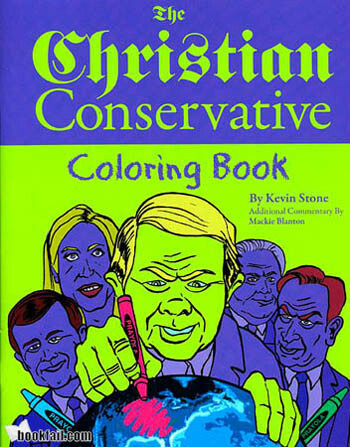 Looking to give a book to a non-Christian friend, neighbor, relative or co-worker, but sure which one to give? Lots of good ideas can be found at Books for Evangelism. Lest someone think we have a vendetta against James MacDonald, we’ll bury this story in the middle of the link list: A popular teacher is dismissed from a Harvest day school for questioning the authenticity of church camp conversions. What if you have a calling to local church ministry, but also an understanding that you’re not quite ready? Here are eight tips on what to do in the meantime. But in North Texas, another high school graduation speech is cut short for its references to God and faith. Okay, serious translation issues: How the ESV managed to change two words to singular case while every other translation had the words plural. The Christian Reformed Church and the Reformed Church of America have jointly produced Lift Up Your Hearts, a brand new hymnbook with over 800 entries. Wait a minute; what’s a hymnbook? I’ll let this one introduce itself: “I love Al Mohler. I love 99% of his articles. I didn’t love his 2013 Summer Reading List. What a litany of bloodshed, suffering, death, and destruction! I’d hate to see the Winter Reading List.” Then he offers some alternatives. Here’s some reading for any woman considering the transition from SAHM to working mother. It’s sometimes a decision of career vs. tentmaking. And now Queen Elizabeth is being dragged into the gay marriage debate. Enough with the Sunday morning announcements already: Here are seven alternatives for your church to consider. Some people won’t like #5, though. For the church webmaster — and everyone else — to consider: Is your church website attractional or missional? This article could revolutionize your online presence. From our Folk Theology corner: Twenty theological urban legends. You may be guilty of accepting a few of these yourself. Sometimes worship leaders find themselves faced with a very popular worship song that people want to sing that they happen not to personally like. Don’t like the priest or rector touching the communion bread or wafer? Maybe he should get a Purity Communion Solutions Host Dispenser. And yes, it’s an older video, but the item is still available. One year after we first mentioned it, Cardiphonia is still offering entire album downloads for $1, or even less. Just in time for summer at a church near you: Why VBS Scarred Me As a Kid. Is that scarred or scared? Guess it’s all the same. Don’t forget to get your link suggestions in by 6:00 PM, Mondays, EST; and as always, for breaking links, you can follow me on Twitter. Look for @PaulW1lk1nson (change the letter i to a number 1). VBS (Vacation Bible School) is a major industry. Let me be clear, VBS is big business. In North America, nearly two dozen publishers compete — in every sense of the word — for your church’s summer Christian Education dollars to be spent on their program. Each year the programs get more and more elaborate and involve an increasing number of ancillary products which help vindicate what each publisher spends on marketing. And according to one publisher, each year it gets, from a Biblical viewpoint, more and more silly. Concordia Publishing has decided to swim against the current. Good for them. 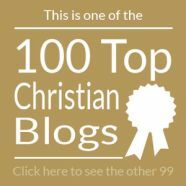 On another blog that I write, I deal with issues confronting the world of Christian publishing in general and Christian bookstores in particular. 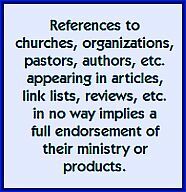 Sometimes I link to articles at a Strang Publishing website called Christian Retailing, but usually I don’t need to because bookstore owners and managers already have that information covered and are regular readers there. So normally, I wouldn’t reblog anything from Christian Retailing there, let alone here, but this is something every Kid Min director, every Children’s pastor, every Christian Education department head needs to be aware of. As always, reading at source is encouraged, click here. Concordia Publishing House is calling on Vacation Bible School (VBS) publishers to make the gospel—not entertainment—central to their VBS programs. “Our stand is against Vacation Bible School programs that confuse children with images and characters that are unrealistic and too similar to cartoons on TV and in the movies—where is the Christian focus?” said Emily Barlean, senior public relations specialist. Acknowledging that VBS themes may use cartoonish figures or themes to “hook” children and get them interested in participating in a church VBS program, a company statement observed that “the steady transformation of VBS programs into full-on entertainment machines has created a rather distressing situation. “After many years of trying to mold our VBS programs after what was considered fun and popular, we decided that we’d had enough,” said Pam Nummela, Concordia’s VBS editor, who is also a director of Christian education and a 30-year veteran leader of VBS programs. Concordia’s VBS curricula will be changing significantly as a result. Stores and churches will see the publisher’s VBS programs will no longer be set in locations that cannot be found in the Bible, stories will no longer feature characters outside of the Bible, all artwork will be realistic, and “wise-cracking animals” will not be the spokesmen for Concordia VBS themes. …[T]o learn more about Concordia’s 2013 program, click Tell It on the Mountain.